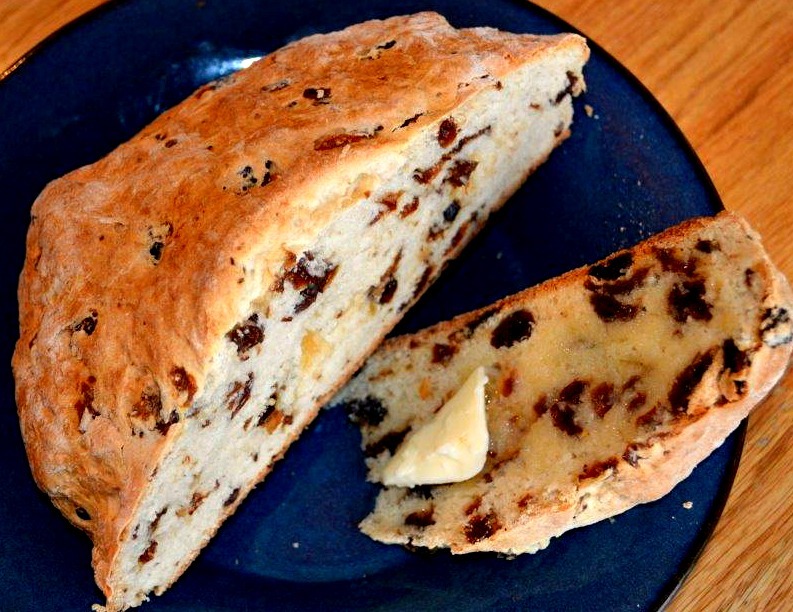 This Easy Traditional Irish Soda Bread recipe is very tender and flavorful. The secret is in the buttermilk which keeps it moist, while the raisins give a slightly sweet taste; which is perfect for toast the next day – if there are any leftovers. I usually make a few extra batches just for this reason. In fact, it’s a great recipe to multiply without any problems at all. 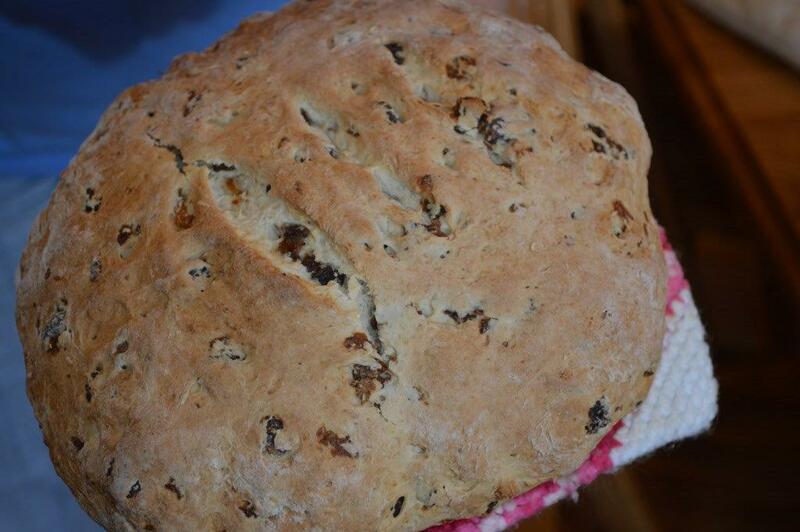 Irish Soda Bread is traditionally served with Corned Beef and Cabbage. 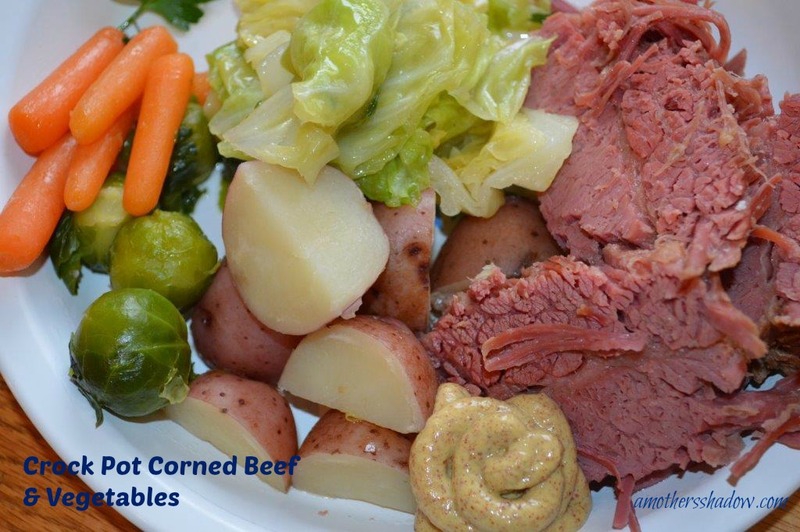 You can get my really easy delicious crock pot / slow cooker recipe HERE. 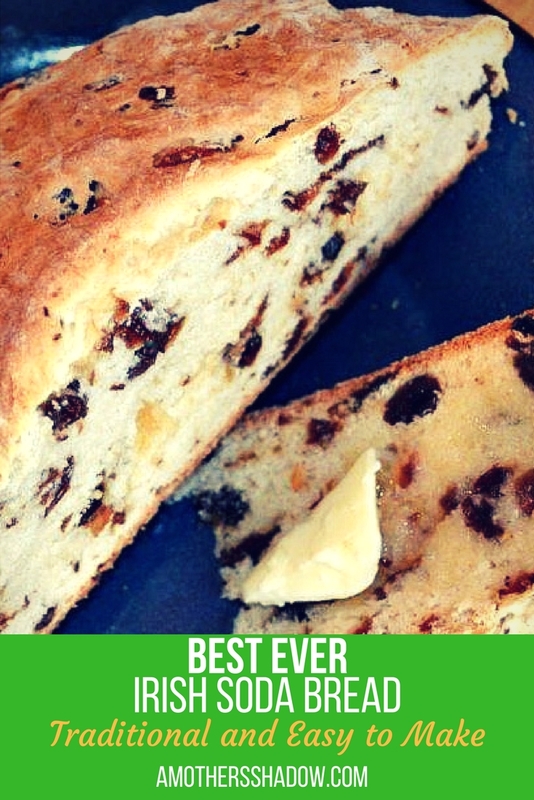 However, because this Traditional Irish Soda Bread is so easy and quick, you’ll find yourself serving this all during the year. 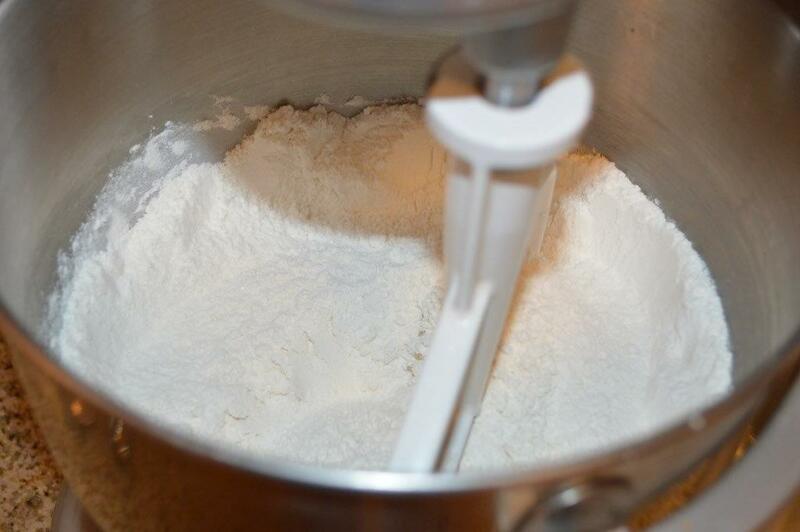 In a large mixing bowl, combine all of the dry ingredients. 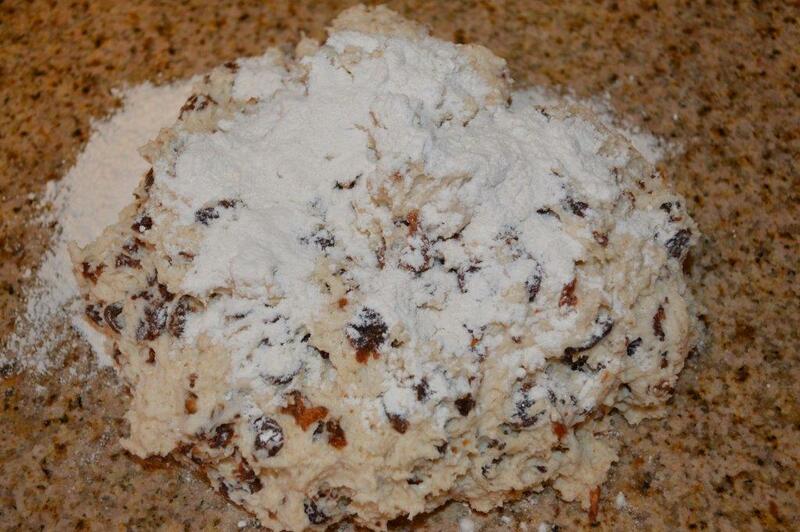 Add in the raisins slowly, while mixing the ingredients, to allow the raisins to become coated with the flour mixture. 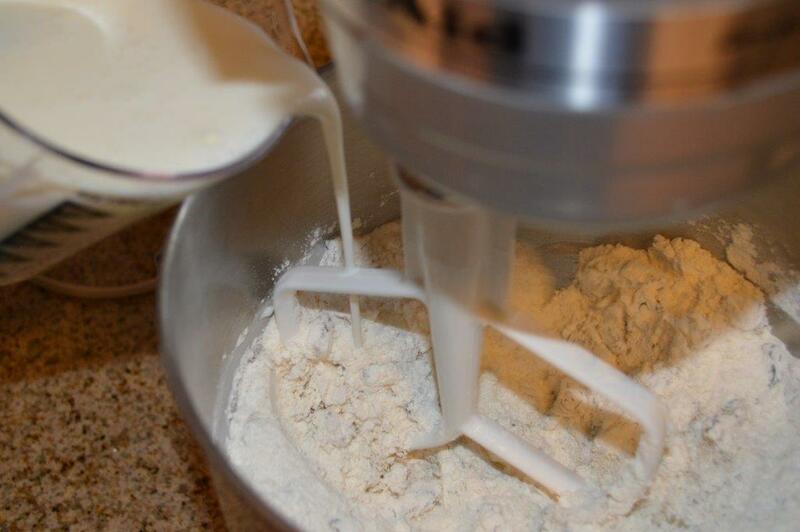 Add in the buttermilk slowly. 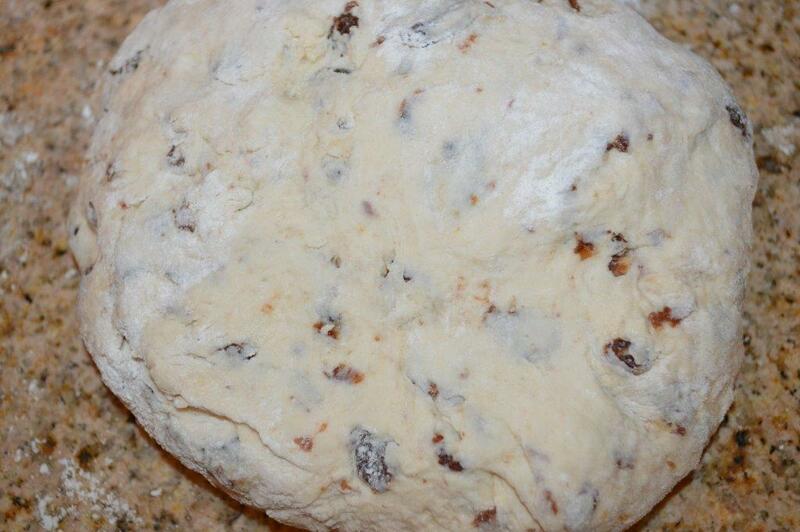 Mix only until incorporated and a soft dough forms. 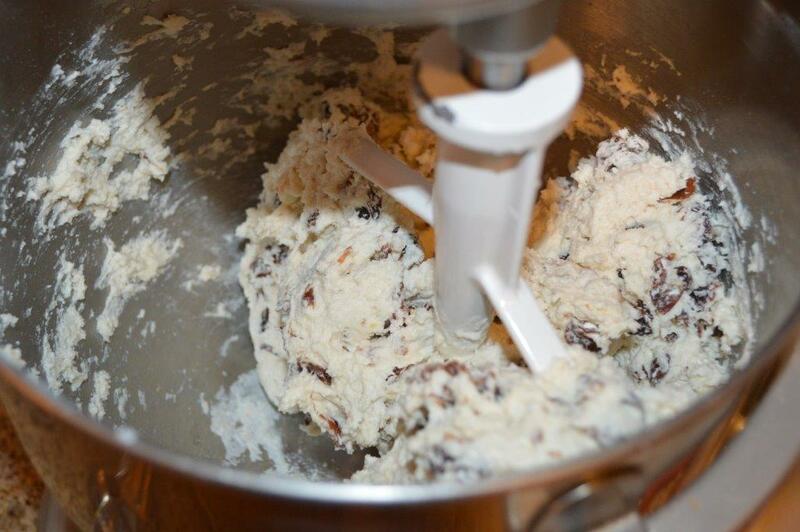 NO LONGER or the dough becomes tough. 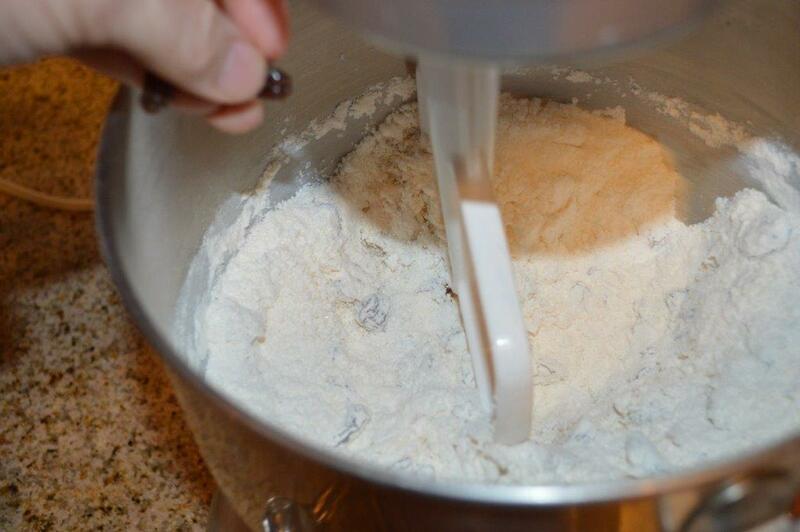 Turn the dough out onto a lightly floured surface Knead just until it forms a smooth ball, no longer; again, it makes a tough bread. 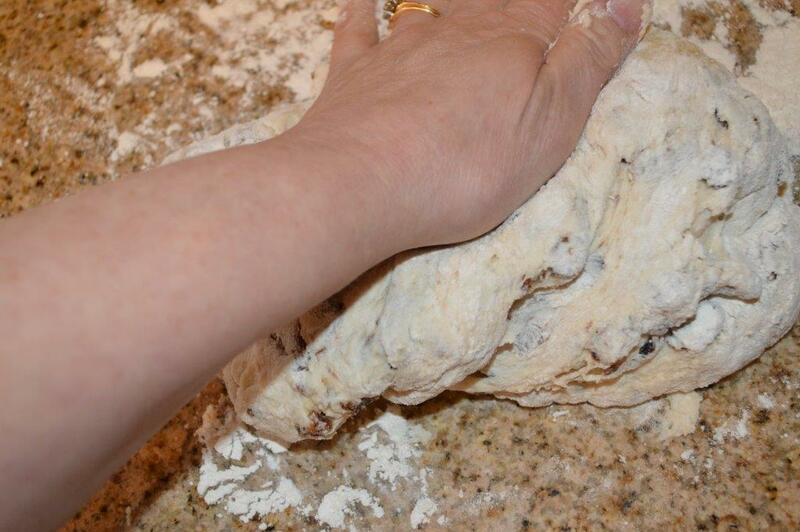 Flatten the ball so that the sides and middle are about the same thickness to ensure even baking. Place the dough onto a cookie sheet pan that has been coated with spray release, or on a pan that is lined with parchment paper. 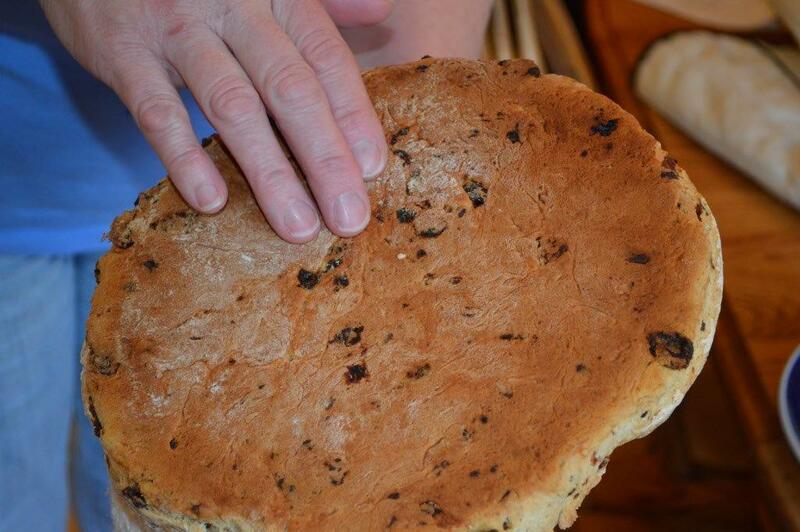 Slash the top a few times with a sharp knife, which provides ventilation, and is the signature of this type of bread. *If it becomes too browned while cooking, tent with foil, and finish cooking till the center is done. When you can thump the bottom and it sounds hollow it is cooked through – as long as the bread was formed to an even thickness. IF you don’t have a thermometer, this is a good method. 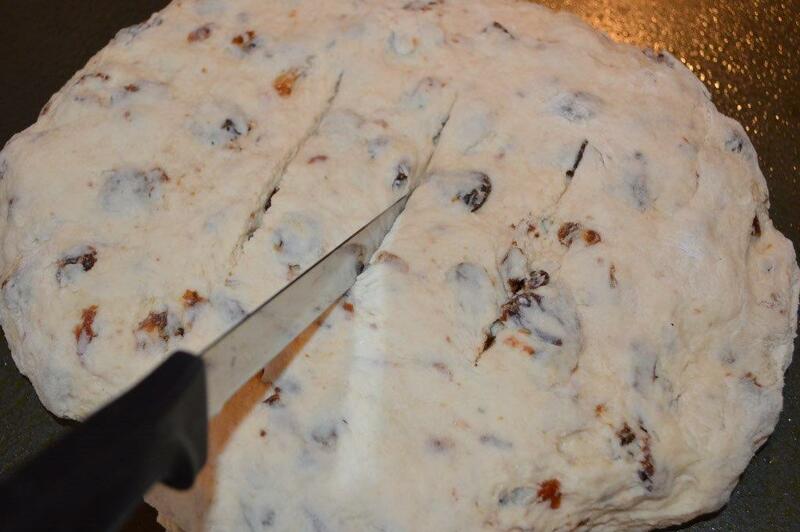 Let bread set for 10 minutes before slicing.